Welcome to Sugar Beach! 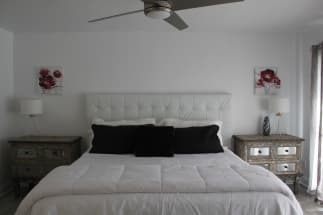 This condominium complex offers you two locations, beachfront and lakefront! You have the luxury of choosing the setting of this amazing trip! 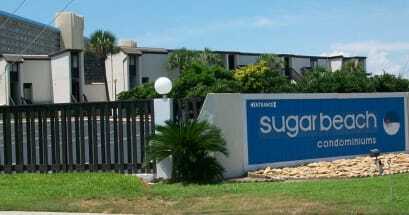 When you stay at Sugar Beach, you can rent a condo ranging from 1-2-3-4 bedrooms! Condos here offer full kitchens, coin washer and dryers, cable TV, great living space and so much more! As for the amenities, be sure to enjoy the tennis courts, grill area, shuffleboard, swimming pool and clubhouse with ping pong table! Our convenient location offers you easy access to what's in the area, you'll never go bored! As for the area, the fun never ends! 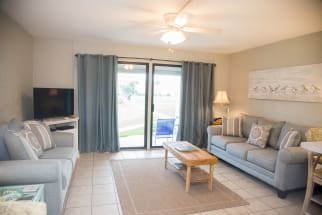 Our convenient location gives you easy access to things such as St. Andrews State Park, Walmart for shopping, close to restaurants and Amusement park, parasailing, deep sea fishing, golfing, paddle boarding, renting jet skis, racing go karts, swimming with dolphins and so much more! As for the food in the area, get ready for a great time! The food is outstanding, but the drinks and service only make it better! Booking your condo in Sugar Beach is made easy by ECBYO. 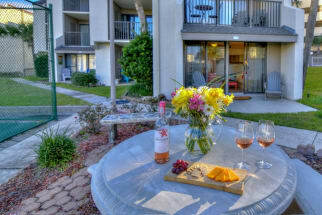 When you book with Emerald Coast by Owner, we put you in direct contact with the property manager or owner. Booking direct allows you to get answers to your questions fast, and also assures that you are getting the best price possible!